Stockton Dermatology has been serving the Valley of the Sun in Phoenix since 2000, with expertise in both dermatologic and aesthetic care. We are conveniently located on 40th street off of Pecos and the San Tan 202 Freeway, in Ahwatukee. We offer our patients the latest advances in detection and treatment in all disorders of the skin, hair, and nails. 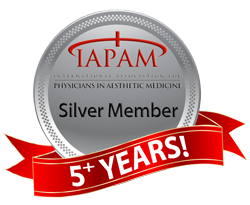 We pride ourselves on educating our patients on the importance of preventative care, and the management of temporary and chronic skin conditions. Our office is one of few in the valley that offers light box therapy. Our practitioners have extensive knowledge and experience utilizing narrowband, broadband, UVB Photo-therapy, PUVA and 308 Excimer laser to effectively treat vitiligo and psoriasis. We also offer on-site patch testing. In addition to medical treatments, we have a team of highly trained and skilled Aesthetic Practitioners that are here to address and recommend effective treatments for common cosmetic concerns including Melasma, skin discoloration, acne, wrinkles, scars, stretch marks, sun damage and unwanted hair. At Stockton Dermatology, you will feel welcome and comfortable from the moment you enter our inviting reception area, until the time of your check-out. Our warm and caring staff is here to ensure that your experience with us is a positive one! Call to schedule your appointment today. Stockton Dermatology is owned, operated, and supervised by a board-certified dermatologist in the Phoenix area. Read more about our Dermatologist, Dr. Toni Stockton here!